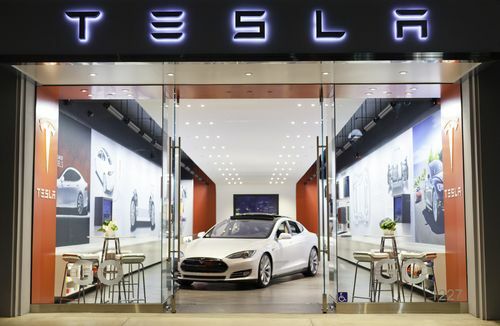 Going against the Automobile Dealers Association, who is seeking to block Tesla's sales model around the country, a Houston area car dealer makes the case that Tesla should be allowed to sell cars directly to the public because it would increase consumer choice. Tesla Motors is driving bumpy road towards its goal of becoming a successful automaker. One potholes the company is navigating is the right to sell cars by its preferred direct sales model, while state laws require that car sales go through independent dealerships. In Texas, Tesla is lobbying for a legal exemption allowing the company to sell cars directly to the public, a move that is being opposed by the Automobile Dealers Association in Texas and elsewhere. However, going against the ADA, a Houston Chronicle Op-Ed written by a Houston car dealer makes the case that Tesla should be granted the exemption. The car dealer, Sterling McCall, who ran a Toyota licensed dealership in Houston for 40 years, started off by saying "There comes a time when you start to realize the old rules simply don't work as well as they should." As he notes, while there are Tesla cars owned by Texans driven on Texas roads every day, the cars cannot be bought in Texas. The reason is two-fold, first Tesla does not sell its cars through independent dealerships, and second state law is so strict that Tesla cannot do direct sales as it does in many other states. McCall suggests that the system, while it has worked for many years, doesn't reflect the changing dynamics of the market. His key point is that "manufacturers like Tesla don't fit the traditional model for a volume retail dealership, not having or needing the full and extensive range of service, parts, new and used vehicle departments." It is state laws which lay out the requirements McCall outlined. The sort of dealership that fits those requirements makes sense when an automaker is selling millions of cars a year, and the dealership service department is busy every day fixing broken cars. Tesla Motors is not (yet) at that sales level and has sized its business infrastructure appropriately. Rather than a full service department at each sales location, the company has regional service centers. Likewise, Tesla's sales volume doesn't yet warrant a used car department. When the company takes a trade-in of a gas-powered car, it hands that car off to a 3rd party company. As McCall noted, Tesla is able to operate and sell cars in most U.S. states, claiming "It's time Texas followed suit and truly opened up our state for business," because it would open the market for competition which in the end benefits consumers.